Let’s say you get 5 tickets for the same issue from 5 different users. 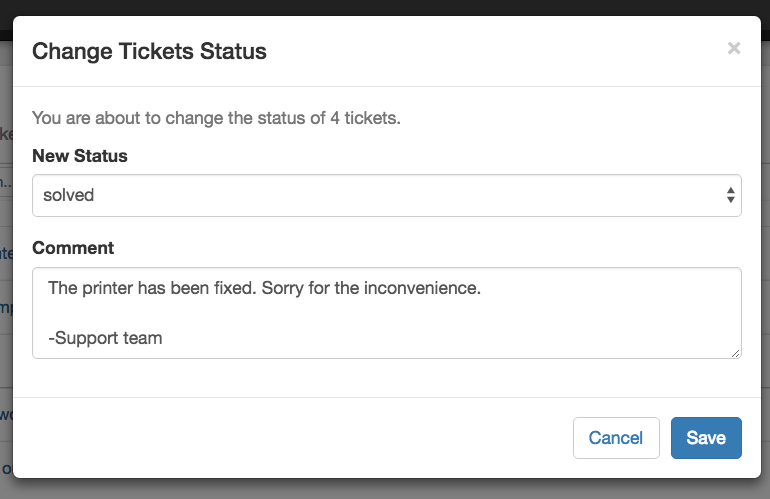 You can update all of the tickets at the same time, add a comment and resolve them. For example, if there is a network issue that affects all users it’s expected that you will receive the same issue ticket from a bunch of users. Or, if you sell a product that ends up having a defect, you can expect a few “bunches” of customers to report the issue. 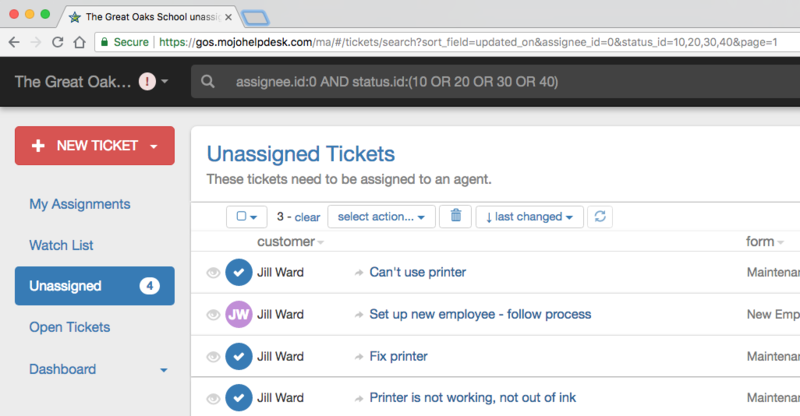 Good news is, once you respond, you can update all of those “bunches” of tickets at the same time with in Mojo. To do this, you will simply click each ticket by hovering over the user’s initials which turns into a checkbox (hidden gem, see?). Select all the tickets you want to update and then select the action from the menu list at the top of the page. Then, you can choose to change status, add comment or do both at the same time. This is also how you can delete a bunch of tickets if you get some erroneous tickets or, ah-hm, spam. Anyway it’s not an obvious feature so we wanted you to know.